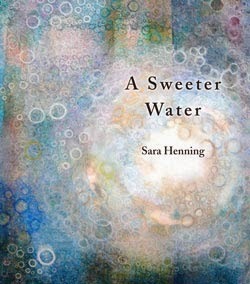 Sara Henning’s second poetry collection, A Sweeter Water, is a tough read. As the title suggests, there is a sweeter place out there, and this unsweetened story is about a woman struggling to find it. 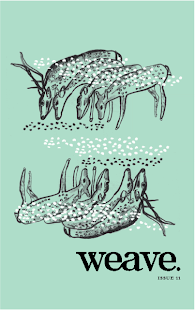 Much of the poetry collection involves nature with a keen sense of Earth and country. But it takes a few pages to get under the skin of this book and begin to understand what is going on, which is the relationship of the narrator and her father. Henning presents a child’s point of view in the first section and then quickly comes of age after a tragic incident. Readers experience the narrator’s world through her eyes as she literally looks up to her father. The day your father looks in your eyes and says daughter is your first birthday. His eyes the minute they go out, the candles blown. …Even the leopard carried the cub’s body to a field close to her den, chewed it tenderly to pieces, swallowed each down. Even I still look for your effigy everywhere, practice your body until it is raw susurration, burned not by my throat but my heart. Which of us stays at her guttural refrain for days, though our love was never so close to our hunger? What is love but a set of urges? at the end of my sorrow: sorry he left us without flowers. Sorry he’s never coming back. …all these failed translations that feed my mind and not my heart. The tom was cold when I touched my face to his fur; my brother is marrying a woman I have never spoken to, and yet this urge is here to name things which I am not: hen’s wing ripped off by a dog, mother burning my childhood on a pyre, childhood expunged from my body like a struggling sack of sugar. These metaphors of “howling” as perhaps crying, and the beautiful flowers growing from the earth that “once burned” suggests that through it all, reaching bottom, there is nowhere to go but up. So ends Henning’s truly raw and telling account of one woman’s life through parental struggles and her own as she deals with the regular struggles of adolescence, relationships and life’s meanings. Through intimate relationships with nature, animals, and the body, readers witness and recognize an important exploration and elaboration of extremely intense sides of life. A Sweeter Water is a welcome, albeit complex, introduction to Henning’s work.